At the core of every individual’s life is a need for relationships — with God and with God’s people. Join other women at PBC and let God refresh you as we study God’s Word and fellowship each week. God wants to renew your spirit and inspire your heart. He wants to give you daily encouragement and strengthen your relationship with Him and with others. The Ladies Bible Studies at Plano Bible Chapel provide weekly fellowship and study for spiritual growth through various lessons from God’s Word. We have Spring and Fall studies at the church on Tuesday mornings and Tuesday evenings. Summer studies are also offered. Nursery is provided only for the Tuesday morning class. 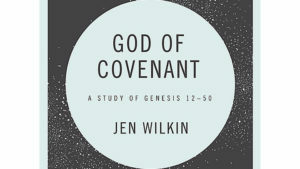 God of Covenant. Beginning with Genesis 12, walk alongside the fathers of our faith—Abraham, Isaac, Jacob, and Joseph—to discern Jesus in the stories of His people. 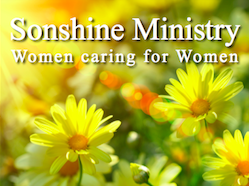 SONSHINE Ministry is a short-term crisis care-giving ministry of women helping other women. This team of women work in conjunction with existing ministries of PlanoBibleChapel to offer physical and spiritual care when women are hospitalized or bedridden for short periods of time. Sonshine will meet needs through prayer support, visitation, and phone calls. For more information please contact Kathy Moreland.